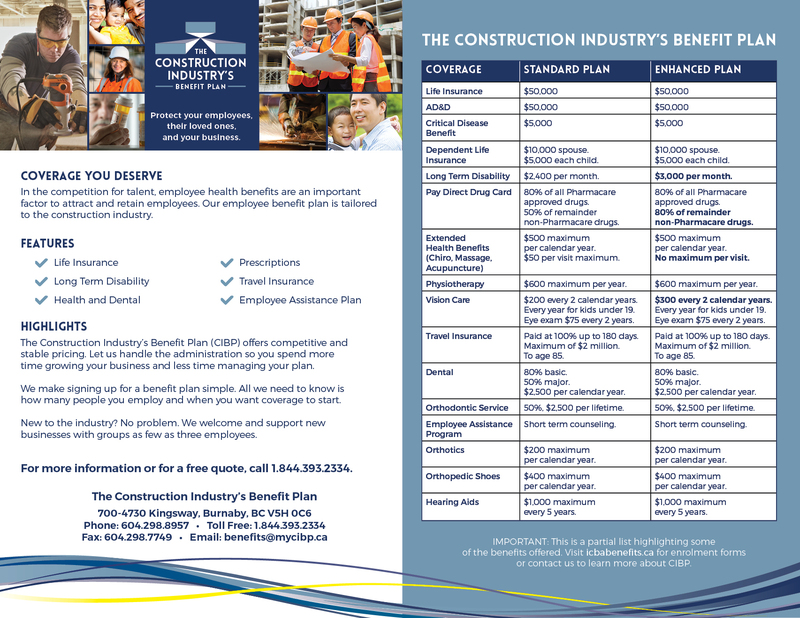 Unlike traditional insurance plans, the Construction Industry's Benefit Plan (CIBP) uses a simple cost model that is easy to understand and fits with your business' reality. That's why CIBP is known as the premier benefit plan for B.C. 's construction industry. Both options are cost-effective and premiums vary immediately with your volume of work. The coverage is portable and continues during layoffs. We also offer hassle-free administration and our staff can answer all your coverage questions. All you have to do is remit hours. If you are in construction, we have the right product for your organization. Click here to view the enrollment forms and other CIBP resources.